A new endemic species of a flower was discovered in Istanbul as part of Forestry and Water Ministry's National Biodiversity Inventory and Monitoring Project (UBENİS), the Directorate General for Nature Conservation and National Parks (DKMP) said Sunday. 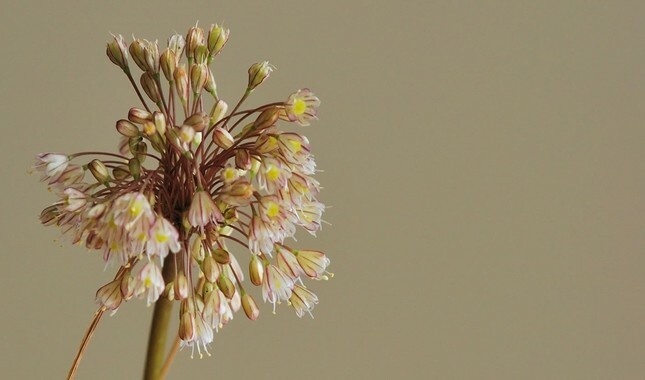 Scientists found a species that belonged to the Allium genus, but at the same time did not resemble any known kind of the genus. The newly discovered flower was named 'Allium Istanbulenese' in Latin, while 'Istanbul onion' (Istanbul soğanı) is its common name. With Istanbul onion, the number of plant species endemic to Istanbul has risen to 54. According to Minister of Forestry and Water Affairs Veysel Eroğlu, UBENİS research that started in 2013 has so far been completed in 33 Turkish provinces. "Along with this year's last 'client' Istanbul, we will have completed works in 21 provinces [in 2017]. When research in all provinces is done, Turkey's biodiversity map will be released. Our job is to keep this richness as the apple of our eye and ensure that it is passed to the future [generations]," Eroğlu said.